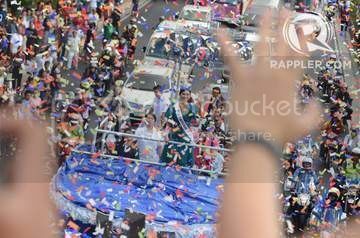 With an overwhelming fanfare greeting from crowds, Miss Universe 2015 Pia Wurtzbach sported not only her precious pageant crown but also a tireless smile while waving from the motorcade float during her grand homecoming parade around Metro Manila. 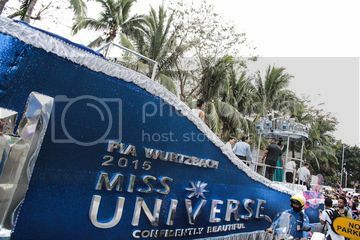 MANILA, Philippines – The people came out to see her, the new Miss Universe who brought the crown home at last, after 42 years. 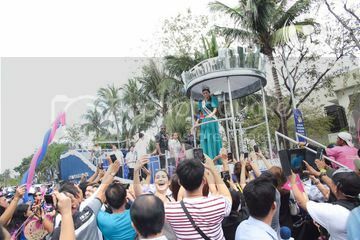 A stunning, smiling Pia Wurtzbach, wearing a green terno by Albert Andrada, waved jubilantly to the crowd from her perch on the blue Miss Universe float, which resembled her crown. 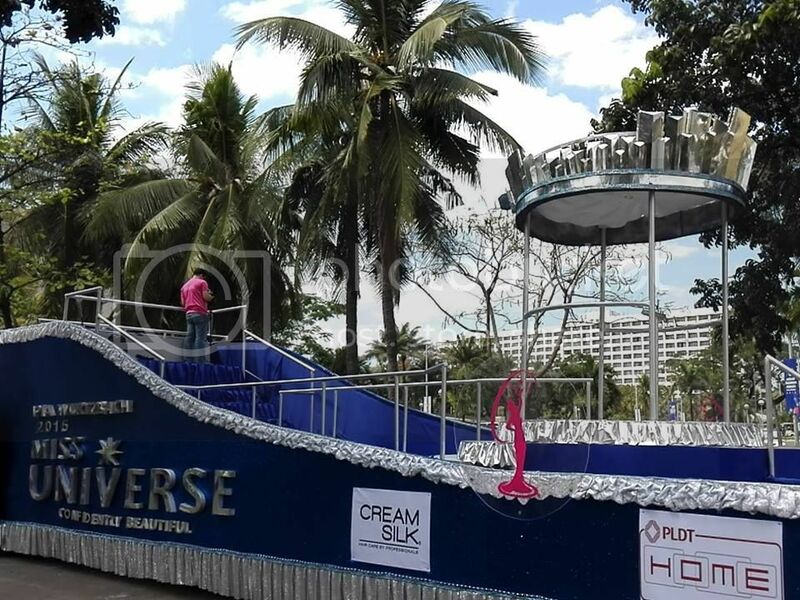 Begining at the Sofitel past 2 pm Monday afternoon January 25, the float also made its way to Makati and finally, will end its journey at the Araneta Center in Cubao. 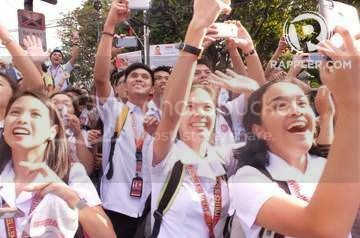 Crowds of supporters waited to get a glimpse of the pageant queen as her float made its way from Manila. 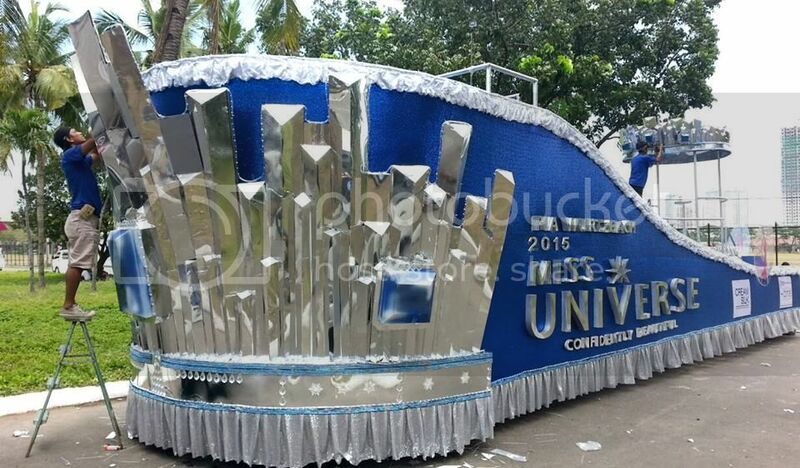 Earlier, a small crowd was already gathering around her float – blue, like her crown – and taking selfies. They held small Philippine flags and little pink banners - on it: "Pia"
Blue and pink balloons adorned the other vehicles involved in the parade, including the police motorcycles. Meanwhile, excited fans further along the parade route waited patiently for their queen to arrive. 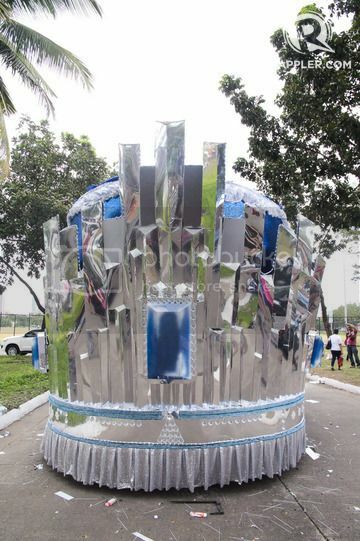 After 4 pm, the parade rolled around to its Makati leg. 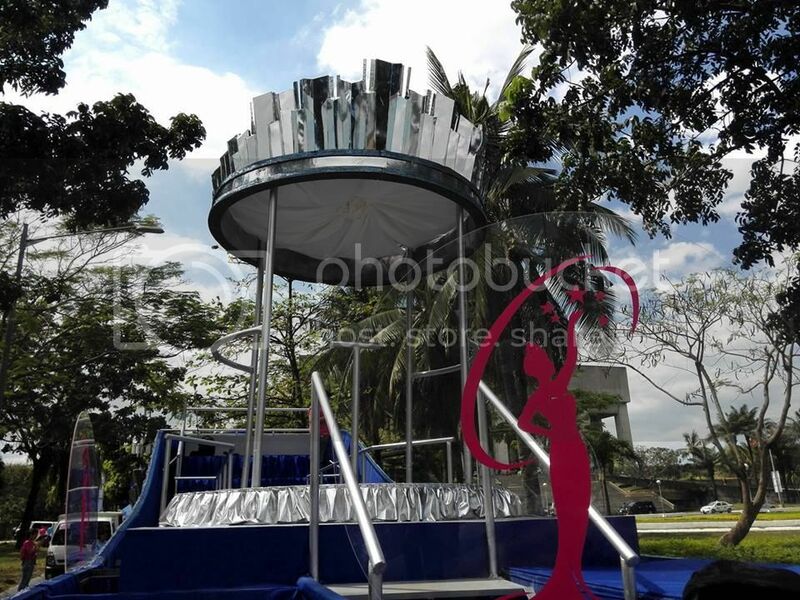 Finally, the parade ended at Cubao, near the place where Pia competed 3 times for the Binibining Pilipinas top prize – and won on her third try. 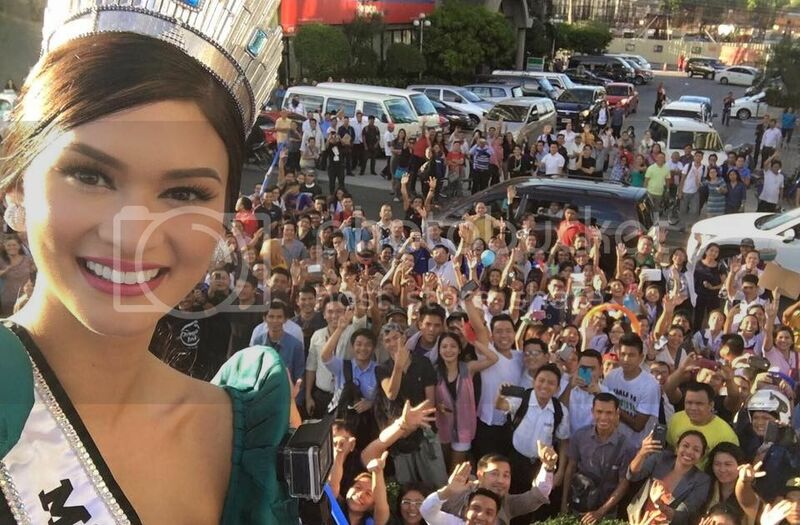 Finally, she thanked her fans for their support – and asked them to continue following her journey as Miss Universe. "Like what I said before, my goal was to bring back home the crown, and finally, we did it! "I say we, because this is not my crown, this is our crown. This is for you, this is for the Philippines," she said. 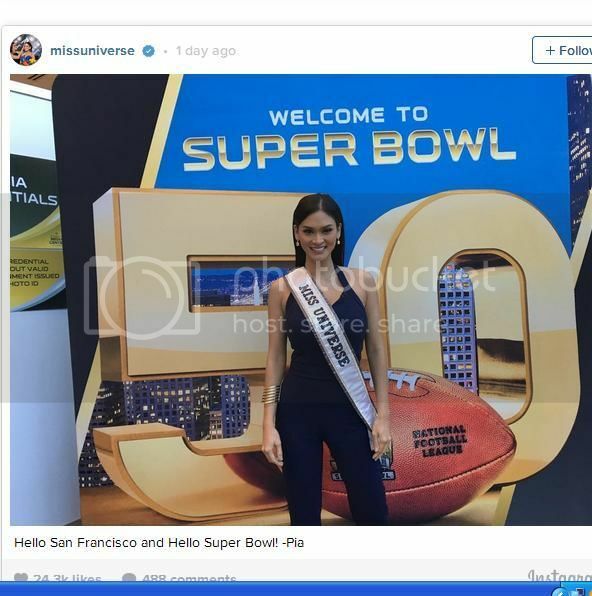 2015 Miss Universe Pia Alonzo Wurtzbach is a special correspondent at the Super Bowl 50 and today on its opening night, she got to interview Kenny Anunike of the Denver Broncos and her ‘dream team,’ the Carolina Panthers. The beauty queen will be a correspondent for a whole week. Super Bowl is the annual championship game of America’s National Football League, the highest level of professional football in the US.